Join us to celebrate a year of business networking in Swanley with our first Swanley Business Expo. This event will be an opportunity to showcase local businesses in the fabulous location of the Alexandra Suite in central Swanley, just a few minutes’ walk from Swanley railway station. Each business will be given a small table and room for one banner. The event will start at 10.00pm with the opening by the Rt Hon Sir Michael Fallon MP and networking, exhibition and business talks will continue through until 12.30 where a light lunch will be served to allow further networking among exhibitors and visitors. 10.30 – International speaker and social media guru Zoe Cairns will talk about creating your business social media strategy. To find out more about ZC Media click HERE11.15 – Josh Curties from local company A4G LLP will provide an overview to ‘Making Tax Digital’. Read more about A4G LLP HERE. 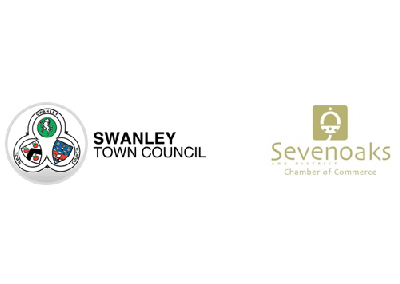 12.00 – Stephen Nash, CEO of Swanley Town Council will talk about local funding, grants available, business to business loans and creating a Bid. The event will be free to attend, and exhibition space is £75 for non-Chamber Members but will include a complimentary free trial of membership, to allow participants to continue to network in Swanley beyond the exhibition. Exhibition space is free for Sevenoaks and District Chamber Members. We hope you will join this unique opportunity to showcase the best of Swanley businesses, and help us to build a strong and vibrant business community. Please complete the booking to secure your space for the event, as stands are secured on a first come basis. Once you have completed your booking a member of our team will contact you to confirm. Exhibitors who fail to attend the expo will not be entitled to a refund. If you have received a complimentary stand and do not attend, we reserve the right to charge you the rate of £75. Cancellation of stands less than 4 weeks before the event will be charged in full.